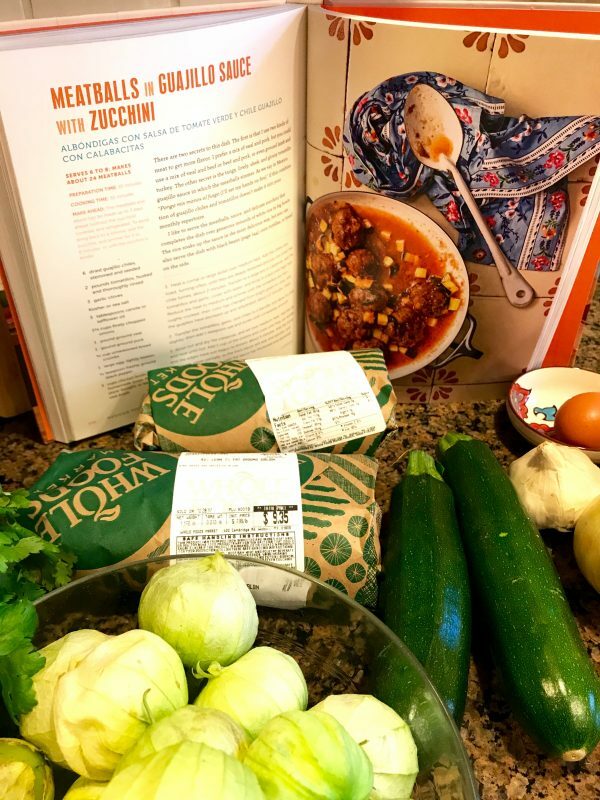 Add a flavorful twist to meatballs by simmering in a tangy, bright tomatillo-guajillo chile sauce, and add delicate diced zucchini for a pop of color and good nutrition. If you love meatballs, these Mexican meatballs will go over big time with your family! 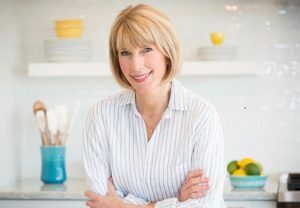 This recipe comes straight from the pages of Mexican Today, a gorgeous new cookbook by PBS cooking show host, Pati Jinich. I met Pati, her husband, and two of her three sons last summer when she was out on Nantucket teaching at the Nantucket Culinary Center. 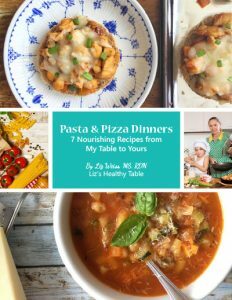 Pati grew up in Mexico, and her passion for demystifying Mexican cuisine and bringing its vibrant, fresh ingredients from her kitchen to yours shines through in every recipe she creates. 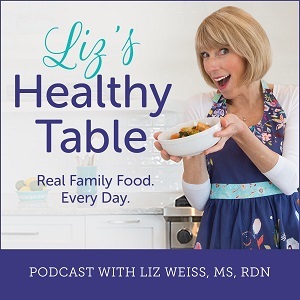 Pati joins me on this week’s Liz’s Healthy Table podcast, so I hope you’ll tune in by clicking the PLAY button on the player above. 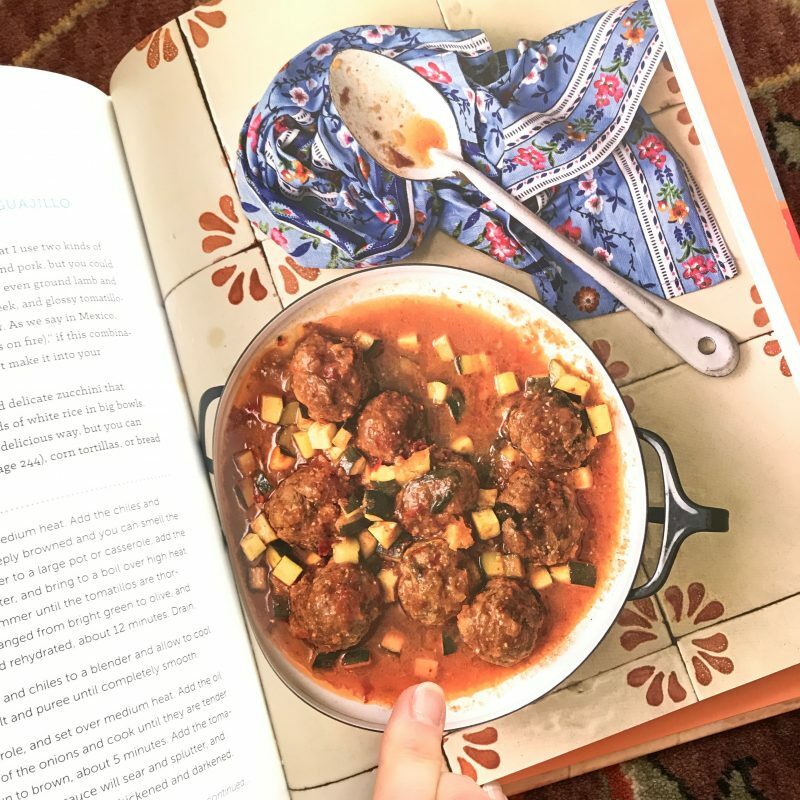 On the show, we dish about Pati’s recipe for Asparagus, Mushroom, and Goat Cheese Enchiladas with Pine Nut Mole Sauce and this recipe for Meatballs in Guajillo Sauce shared below. 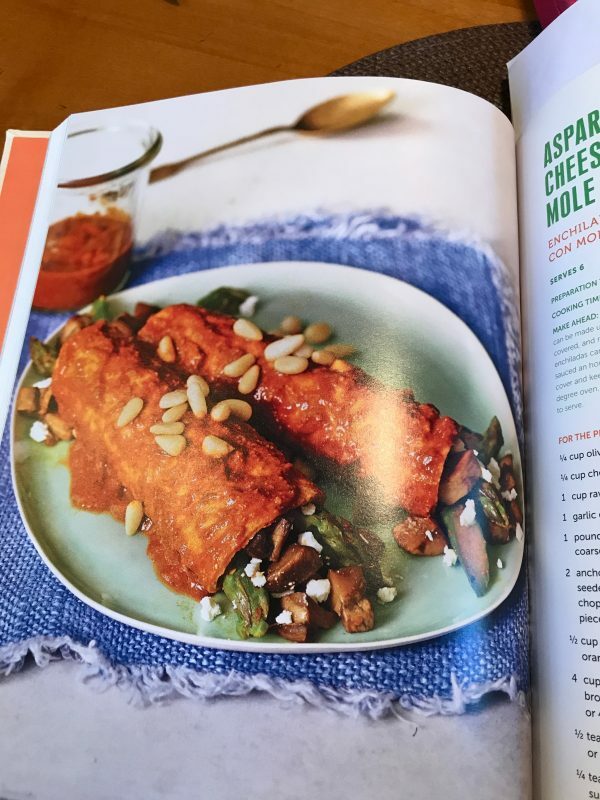 And she calms my nerves about cooking with chiles (they’re not all spicy) and sheds surprising new light on mole sauce (they’re not all made with chocolate). I made both recipes for a dinner party last weekend and everyone, even my pescetarian husband, loved every bite. My boys were not around for the party, but knowing their taste buds, they would have eaten both dishes happily. Pati says there are two secrets to this dish. The first is to use two kinds of meat. I ended up using lean beef and lamb with great results. She also recommends simmering the meatballs in the tangy, lively sleek, and glossy guajillo sauce. And I will say that the chile sauce is surprisingly mild, which is just the way I like it. You can serve this dish like I did as a soup or serve over rice or with beans or corn tortillas on the side. Heat a comal or large skillet over medium heat. Add the chiles and toast, turning often, until they are deeply browned and you can smell the chile fumes, about 2 minutes. Transfer to a large pot or casserole, add the tomatillos and garlic, cover with water, and bring to a boil over high heat. Reduce the heat to medium and simmer until the tomatillos are thoroughly cooked, their color has changed from bright green to olive, and the guajillos have plumped up and rehydrated, about 12 minutes. Drain. Transfer the tomatillos, garlic, and chiles to a blender and allow to cool slightly, then add 1 teaspoon salt and puree until completely smooth. Rinse out and dry the casserole, and set over medium heat. Add the oil and heat until hot. Add 1 cup of the onions and cook until they are tender and the edges have just begun to brown, about 5 minutes. Add the tomatillo puree, cover partially, as the thick sauce will sear and sputter, and simmer for 7 to 8 minutes, until the sauce has thickened and darkened. Meanwhile, combine the meats, bread crumbs, egg, the remaining ¼ cup onion, ½ teaspoon salt, and the pepper in a bowl and mix together well. When the tomatillo puree has cooked down, stir in the broth, scraping the bottom and sides of the casserole to incorporate any sauce sticking to the surfaces of the pot. Place the meat mixture and a small bowl of water next to the casserole. Wet your hands and start shaping the meat into approximately 1½-inch balls. Gently drop the balls into the sauce as you form them. When all of the meatballs have been added to the sauce, add the epazote or cilantro. Simmer, uncovered, for 30 minutes. Stir in the zucchini and simmer for another 5 minutes, until t he zucchini is just tender. Serve hot. 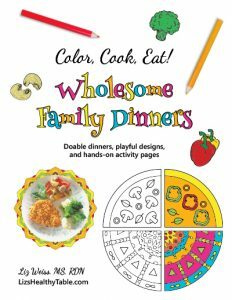 Stop by my Show Notes page to enter to win Pati’s cookbook.